Drinking and driving is never a good combination, but accidents involving an impaired driver can have devastating effects. The attorneys at Lohman Law Offices have helped many victims find an appropriate legal solution following an accident with a drunk driver. If you have been injured by an impaired driver, a DUI accident attorney in Louisville, KY, can help you recover the compensation to which you are entitled. Drunk driving is a major problem in Kentucky. According to statistics published by the state, there were 4,529 alcohol-related motor vehicle collisions in 2013, and 153 of these collisions involved fatalities. 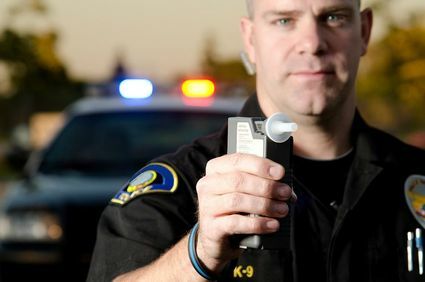 In Kentucky, a person whose Blood Alcohol Concentration (BAC) is 0.08 or higher is considered to be driving under the influence (DUI) of alcohol. Persons can also be impaired drivers while under the influence of illegal drugs, prescription drugs, inhalants, and over-the-counter medications. Impaired drivers have slower reaction times and tend to drive faster than sober drivers. This can cause them to lose control of their vehicle more easily and result in an increased number of high-speed crashes. Under Kentucky’s dram shop law, establishments that sell or serve alcohol may be held liable for a drunk driving accident, but only if the driver was obviously intoxicated when served, or if the driver was a minor. The criminal conviction of a drunk driver who caused an accident will not reward any compensation to the victims of the accident. The drunk driver may be held liable in civil court for any injuries or deaths caused by their illegal actions. Victims of impaired drivers may file a claim for damages against the driver and their insurance company. Under Kentucky’s dram shop law, establishments that sell or serve alcohol may be held liable for a drunk driving accident, but only if the driver was obviously intoxicated when served, or if the driver was a minor. However, Kentucky does not permit liability for a social host who serves alcohol to a guest who is later involved in a drunk driving accident. If you were injured in an accident involving a drunk driver, you may be forced to contend with insurance companies, business owners, and their legal teams. Our attorneys are experienced in handling drunk driving cases and in dealing with multiple entities to secure the appropriate compensation for accident victims. Recoverable damages can include past and future medical bills, lost wages, loss of earning capacity, physical pain and suffering, as well as emotional distress. If a loved one is killed by a drunk driver, the surviving family members may have a wrongful death claim. If you are involved in a drunk driving accident, it is imperative that you contact an experienced attorney right away. Evidence from the accident, including the driver’s blood alcohol content or videos from the responding police officer’s dashboard camera, could be very important for your case and should be obtained immediately. Our attorneys have the experience necessary to build a strong case against those liable for your injuries. If you have been involved in an accident with an impaired driver, please contact our office to arrange a complimentary case evaluation.